Golden Retrievers are smart dogs. When it comes to Training Your Golden Retriever, they tend to learn very quickly and can make good, reliable dogs with the right kind of training. Many people use Golden Retrievers for children and blind people to have them lead their way. This can be made possible only if your dog is intelligent and knows how to differentiate between their needs and playtime. In this write-up, you can know How to Train Golden Retriever Puppies and you can resort to if you are willing to see your Golden Retriever being house trained in the best way possible. 1 Why is it important to train your Golden Retriever ? 2 What is the Methodology to be Adopted ? 5 Why is it important to start Training when your Golden Retriever is still a Puppy ? Why is it important to train your Golden Retriever ? According to the History of Golden Retrievers, they are smart dogs. They are quick learners and are bound to remember and recall anything that might have made an impact on them. This excellent mental capacity of Golden Retrievers should be put to good use. An untrained Golden Retriever is a sheer waste of pure talent. Let that not happen to your dog. House trains them as much as you can in order to make the best behaved and the most well mannered smartest dog ever. What is the Methodology to be Adopted ? Golden Retrievers are not like usual dogs. They don’t function well in a harsh surrounding. They are quiet, and peace-loving, and tend to learn better in a calm environment instead of a harsh one. 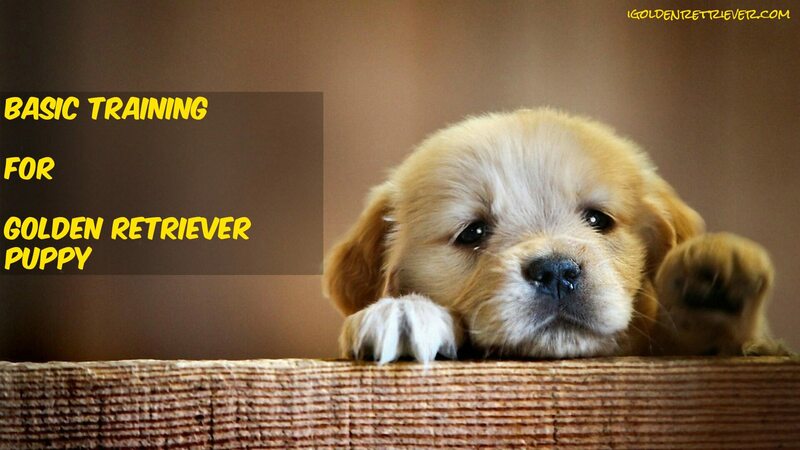 Utilize Dog Psychology Training if you are going to home-train your dog. Go a little soft on them. Use playful methods like ‘Throw and Fetch’ or other games to help them understand better. Reward them regularly whenever they learn anything new or display their newly found skills before you. This is to show them that you encourage and appreciate their efforts. When your pup comes of age, introduce him to collars, and leash. Get a harness so that your dog becomes familiar with this equipment. Start leash training your puppy indoors when it moves around within the house. Slowly, you can extend your leash training walks to the front yard or on less busy roads. Start Training Your Golden Retriever by teaching them not pull on the leash by, for example, teaching them a particular sound, which means nothing but obedience. Give them a cue so that they understand when to approach you for food or play. Basically, by the end of your leash training, your dog must be able to pick up instructions at just the drop of a cue or whistle. The first and foremost rule of house Training Golden Retriever Puppies is to establish a strict schedule for your dog training and stick to it. All daily activities must be planned accordingly. Everything,likeits potty business, long walks, play times and meal times, must all be fixed. Your pup needs to realize that every activity has a particular place and time to be carried out. This process usually takes 4-6 months for completion. Some puppies learn quicker than others do, but that’s only an individual difference. Between this, ensure that you don’t miss any day of your schedule if you are looking to house train your Golden Retriever puppy. Why is it important to start Training when your Golden Retriever is still a Puppy ? Golden Retrievers are a lot like small kids. The reason why it is important to teach manners to your young kids is the same reason why puppies must be exposed to their lessons before they mature and transform into adult dogs. Also, Training Golden Retriever Puppies is much easier to train than adult dogs, or even those in their adolescent years. Training Golden Retriever Puppiesshall happen daily as per schedule so that it picks up all its tricks and lessons while growing up. A young mind is better able to retain and process information than an older one. Hence, while Buying Golden Retriever Puppy, bear in mind that puppies need to be trained while they are still little. The above-mentioned methodologies are nothing but ways and mere guidelines as to how you should be training your puppy. Use them to the best of your advantage so that your puppy learns well and learns quickly. The trick to any house-training program is to be regular and consistent with it. If any day in your schedule goes haywire, chances are that your pup might not respond to it the same way as before. Be very strict with your schedule and move according to the likes of your pup. Draw them to the training sprees by offering them things of their choices that will not only make the process enjoyable to them, but they will also be looking forward to it.